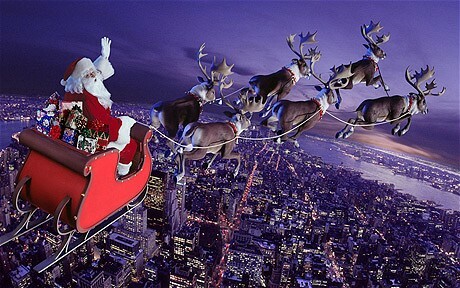 You are at:Home»Christmas»How do you do Father Christmas? I started wrapping presents yesterday and then went to put labels on them. It was at that point I got a bit confused. 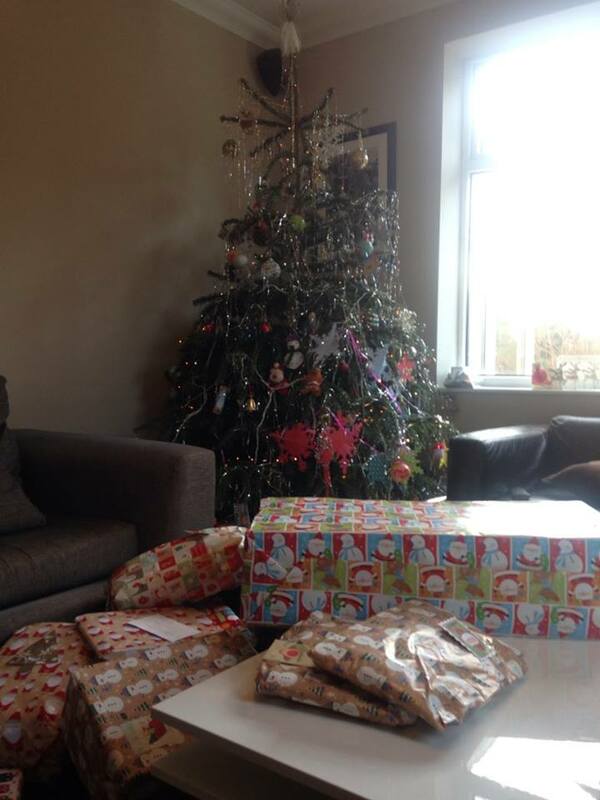 Was it the stockings from us (parents) and everything else from the big man? My childhood recollections (which my brother confirmed) were of no stockings and ALL presents from Santa. My husband is big on the stockings – so to speak – and was pretty adamant: stockings from Mr. Claus and the rest from us and the family under the tree, but surely it must be my way round otherwise what was the point of sending FC a Christmas list? I asked advice on Facebook and got A LOT of replies. There were so many variations. There were quite a few in my husband’s camp, with some even doing the proper tradition of including nuts and a tangerine in the stocking. Some confirmed my thinking of stocking from parents and everything else from Santa, but there were a lot of shades in between. Many mums and dads had differing customs from their childhoods, making it more confusing. Also it seemed like there’d be quite a bit of resentment if Santa took all the glory! So just who are all these from? Big present from the big man; they asked for it, he brings it! We do stocking from us, main present under the tree from the big man. I thought I had it right! Stocking from Father Xmas – big prezzies from people – Xmas list is where Father Xmas explains to the parents what the children want! He brings stockings and then bigger presents from the list under the tree in our house. It’s what my parents always did so I carried it on! I had the same dilemma last year as I realised I needed to find a story & stick to it! I remembered all presents from Father Christmas from my childhood; husband had the big stuff from parents and was quite indignant that the big man was going to get credit from his hard work!! In my house it all comes from Santa but he invoices Mum and Dad to get paid for it. How else will he pay the elves and feed the reindeer? 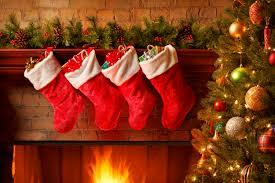 FC brings us each a stocking… Mums and dads have worked too hard all year not to get the glory for the main pressie!!! I don’t know why Santa should get the credit for all the mummies’ and daddies’ hard work. Santa gives one present and we give the rest!! Everyone does it differently, but I think we’re all agreed that the main thing is we have an enjoyable time with our nearest and dearest (if we’re that lucky). Let’s just hope the children don’t compare notes! Just for the record, I’m doing stockings and two list presents from the big man and the rest from us 🙂 I suppose the next big question is: what is Father Christmas’ favourite tipple this year? Merry Christmas all. Hope you have a good one whatever way you celebrate it!